Reuters reports today: “Dozens of countries signed a treaty to ban nuclear weapons on Wednesday amid tensions over North Korea’s nuclear and missile tests, although the United States, Britain, France and others boycotted the event at the annual United Nations gathering of world leaders. 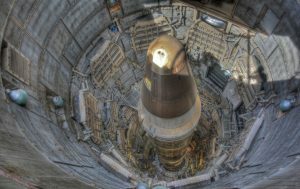 “‘There remain some fifteen thousand nuclear weapons in existence. We cannot allow these doomsday weapons to endanger our world and our children’s future,’ U.N. Secretary-General Antonio Guterres said as he opened the treaty for signing. The following analysts are among the speakers at the No War 2017 conference in Washington, D.C. which begins Friday and will be live streamed. She said today of Petrov: “I think that is one of the best descriptions written about him: ‘Few people know of him… Yet hundreds of millions of people are alive because of him. The actions of Stanislav Petrov, a retired Soviet military officer, prevented the start of a worldwide nuclear war and the devastation of much of the Earth.” See trailer for documentary, “The Man Who Saved the World” with Kevin Costner. Slater is the New York Director of the Nuclear Age Peace Foundation, and serves on the Coordinating Committee of World Beyond War. In July, she wrote the piece “Democracy Breaks Out at the UN as 122 Nations Vote to Ban the Bomb” for The Nation.